I would like, from the outset, to thank the United Nations Security Council, for convening this meeting at a critical moment in the history of the Central African Republic. I also thank the UN Secretary-General for his report on the situation in the CAR, submitted pursuant to paragraph 22 of Security Council resolution 2121 (2013) and, more generally, for his efforts towards the promotion of peace, security and stability in the African continent. This meeting is taking place against the background of particularly worrying developments in the CAR. As we all know, the situation is characterized by a total collapse of public law and order and widespread and continued abuses against the civilian population by elements of ex-SELEKA rebellion, including extra judiciary killings, forced disappearance, arbitrary arrests and detention, acts of torture and sexual violence, as well as the recruitment and use of child soldiers. This has led to the emergence of self-defense and other armed groups. The humanitarian consequences of this situation are disastrous. Hundreds of thousands of civilians are either internally displaced or refugees in neighboring countries. Malnutrition is rife, and humanitarian workers are operating under very challenging conditions. The present situation is a threat to the very existence of the Central African State, as well as to regional security and stability. This meeting provides a unique opportunity to mobilize the international community for it to pay due attention to the situation in the CAR. We need to act fast and effectively, in support of the efforts initiated by the Economic Community of Central African States, which has demonstrated unparalleled commitment and leadership. The African Union is actively seized with the situation in the CAR. We worked closely with ECCAS and fully supported the regional efforts to address the situation following the resumption of armed hostilities by the SELEKA rebellion, in December 2012, in violation of the decisions of the leaders of the region. These efforts resulted in the landmark Libreville Agreements of January 2013, which provided a viable basis for a lasting solution to the crisis facing the CAR. As early as December 2012, we drew attention to the danger that the resumption of hostilities would pose. We indeed feared that this would undermine the efforts of the leaders of the region and result in widespread violence against the civilian population, as well as in heightened tensions among the different CAR communities, with far-reaching consequences for the country and the region as a whole. Following the entry of the SELEKA rebellion into Bangui, the AU Peace and Security Council took immediate action to suspend the CAR from participating in AU's activities and adopted targeted sanctions against some individuals. We sought UN Security Council support. Over the past few months, we have been working closely with ECCAS, in support of the efforts of the leaders of the region. Allow me, at this juncture, to, once again, express AU's deep appreciation to President Idriss Deby Itno of Chad, current Chairman of ECCAS, and to President Denis Sassou Nguesso of the Republic of Congo, Chairman of the ECCAS Follow-up Committee on the CAR. The region has demonstrated utmost commitment in addressing the situation. ECCAS has convened peace talks, deployed peacekeepers and provided financial assistance in support of the people of the CAR. This pro-active engagement should be acknowledged and fully supported by this Council. The decisions taken by ECCAS provide the basis upon which the ongoing transition in the CAR should be managed. We should insist, once again, on the need for the transitional authorities to fully comply with these decisions, in particular with respect to the duration of the transition, i.e. 18 months, and the ineligibility of the current authorities to the elections that will be organized to restore constitutional order. We should insist that the transitional authorities fully assume their responsibilities, notably with regards to the protection of the civilian population and the control, by the State, of its sources of income. Together with ECCAS, we continue to mobilize the international community, through the International Contact Group on the CAR. The Group has so far met three times. The last meeting, convened in Bangui, on 8 November 2013, outlined a number of steps to be taken by the transitional authorities. It is critical that the Security Council lends its full support to the Declaration adopted on that occasion. Given the precarious security situation on the ground, the AU, working closely with ECCAS, decided to enhance the MICOPAX through the deployment of an African-led International Support Mission in the CAR (AFISM-CAR). With a total strength of 3,652 military, police and civilian personnel, the Mission is mandated to assist in restoring law and order, stabilizing the country, protecting the civilian population, reforming the defense and security sector, and creating conditions for the delivery of humanitarian assistance. In so doing, AFISM-CAR will build on the sustained efforts made by MICOPAX in a particularly challenging environment. 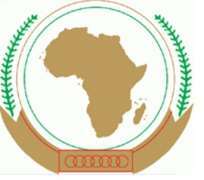 The AU and ECCAS have closely worked together to facilitate the transition from MICOPAX to AFISM-CAR. Following consultations with ECCAS, the Chairperson of the Commission has just appointed the leadership of AFISM-CAR. The transfer of authority between the two Missions is scheduled to take place on 19 December 2013. Permit me to emphasize this point: the AU and ECCAS are working hand-in-hand to ensure that, indeed, the continent effectively addresses the challenges facing us. We are one on this. CAR challenges are Africa's challenges. Overcoming them successfully require the mobilization of the entire continent. Against that backdrop, priority for the international community, particularly the United Nations, should be to enhance the current efforts, through the provision of adequate support for the deployment and sustenance of AFISM-CAR. Such support will be consistent with the provisions of Chapter VIII of the UN Charter on the role of regional arrangements in the promotion and maintenance of international peace and security. We take note of the options contained in the report of the UN Secretary-General. In taking a decision on these options, it is important that the Security Council bear in mind the need for predictable and sustainable support to AFISM-CAR. I would like to express our appreciation to the AU partners that have already expressed their commitment to support the AFISM CAR. I wish to refer here to the European Union, France and the United States. On the ground, we will work out modalities for operational coordination with the UN Integrated Office in the CAR (BINUCA), as well as with the AU Regional Task Force and French forces. The AU Peace and Security Council, at its meeting of 13 November 2013, looked forward to this cooperation with AFISM-CAR. I call on other AU partners to come forward and extend the much-needed support to AFISM-CAR. It is our conviction that effective support by the UN will go a long way in enabling AFISM-CAR to create the required conditions for the deployment of a UN peacekeeping operation that would support the long-term stabilization and reconstruction of the CAR. We also call on the Security Council to extend full support to the political role of ECCAS. The leaders of the region never relented in their efforts. They deserve full and continued international support. In conclusion, I would like to reiterate the AU's determination, working closely with ECCAS, to address the situation in the CAR. In this endeavor, it is our expectation that the international community will extend the required support and assistance. We look forward, in this respect, to the early adoption of a UN Security Council resolution that would enhance ECCAS and AU's joint efforts and underline an active international solidarity with the suffering people of the CAR.